Why hire an Interior Designer? Will this be Your New Year's Resolution? As we begin to say goodbye to 2016 and usher in 2017, some of us will make the traditional New Year's resolution of improving ourselves, our careers, our relationships, and for some of us; our homes. 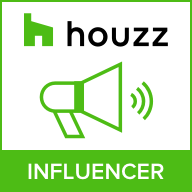 If you are planning on a major renovation or decorating project this year, but not currently writing an interior design blog about your knack for decorating, or answering the questions on the Houzz design dilemmas discussion board, you probably will need my help or the help from a professional interior designer in your area. If decorating or designing your home is not in your gene pool, ( yes, the people with a flair for decorating do not need my help) why not seek help from a professional? ​ If you are going to make any investments this coming year on improving your home, office, retail store, restaurant, adjusting to a health issue, adding elderly parents, or elderly children with their children, or upgrading your lifestyle because you have moved on from college dorm decor look, and have no clue where to begin, you need a designer. What are my needs for using a designer? Can I do this project on my own or do I need help? Do I want to get many designers/decorators compete in a designer's challenge over the project? Do I want to find a low cost designer/decorator or one who has been published or has an outstanding reputation in my community? Do I need one with an education, experience, or my friend's talented wife? Will it be the portfolio of the designer's work that will be the deciding factor? Do I need someone just to help me pick out things and I will do all the purchasing? Do I need someone to be my partner in creating my vision, or do I want the decorator to create it in their vision because it would be easier and I trust them? Once you have decided to begin a new project in 2017, and you have a clear vision of your wants and needs for this project, I want you to do your homework on the criteria for working with a designer or decorator. As with any professional in any field; you are going to pay for the expertise based on education, experience, reputation, and their body of work. ​Great personalities are an added plus. I totally agree when you said that it would be best to seek a professional to help you out when you don't have any amount of designing or creativity in your genes. As for me, I will definitely hire one because I know that I am not that creative. Just like when we attending a craft session, I was not able to follow the instructions well, and my art looked like someone from the kindergarten.